Getting Proactive Part 2: Cleaning Out 3 Years’ Worth of Random Junk. | Camperissimo! 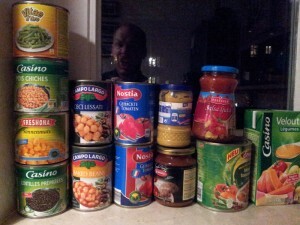 ← 22/03/12 – Update: Meeting up with friends we’ve met on camper trips over the last two years! Getting Proactive Part 2: Cleaning Out 3 Years’ Worth of Random Junk. Tomorrow’s the big day and we’re both stupidly overexcited and a bit silly from it. You can tell when either Iva or I is a little too excited because we tend to talk even faster than usual, and mostly nonsense. After work this evening we’ll pack the van and clear some of our personal stuff out of the apartment (since we’ll be subletting) and then tomorrow evening around 9pm we’ll hit the road. Last weekend Iva did her fair share and tackled the dirt and dust and random junk that had accumulated in camperissimo over the last two years. 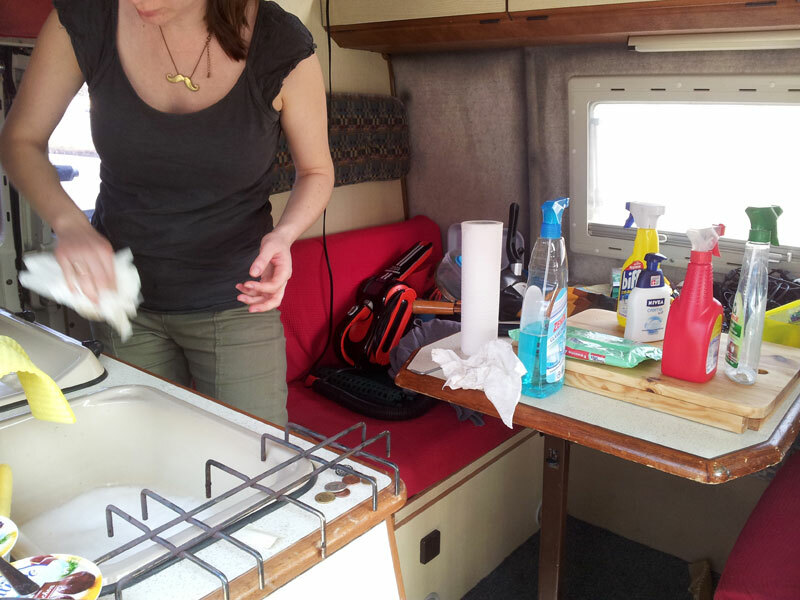 The inside of the van is quite a small space, but emptying everything out and cleaning all of the various nooks and crannies was a surprisingly arduous job. In the process we also relocated a variety of items we’d lost over the last two years and cleared out quite a bit of food from the various trips of 2010 and 2011. 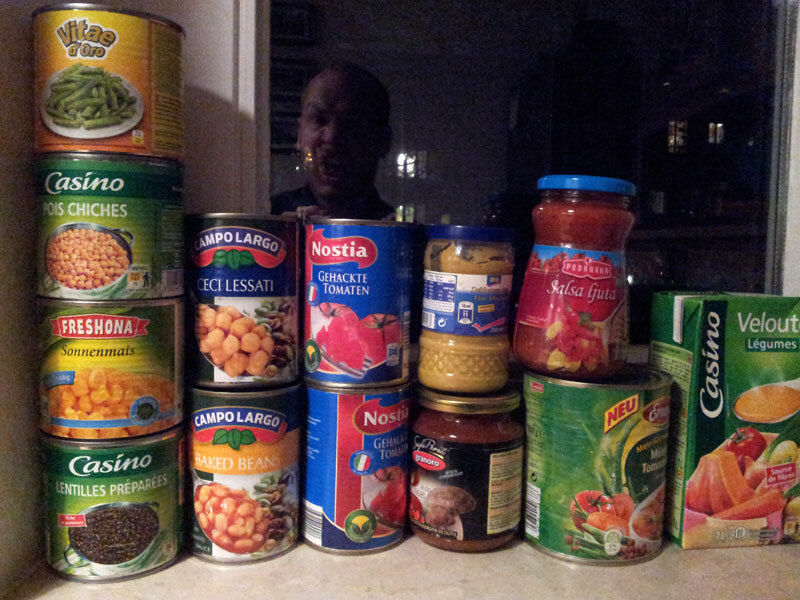 My assigned responsibility this past week was consuming as much of the array of canned food that we’d discovered as possible. This included: green beans from France, chickpeas from Italy, lentils from Romania and some god-awful vegetarian pâté we bought in Croatia. Since all of the food had been left in the van throughout the winter it had all frozen and defrosted multiple times. Still, not one to be put off by mysterious and unexpected consistencies and smells, I soldiered on and ate most of it. My reward will be filling the van with a whole new batch of strange food at the first Hypermarché we happen by once we’re in France. Speciality mustard! World-class cheese! Baguette! 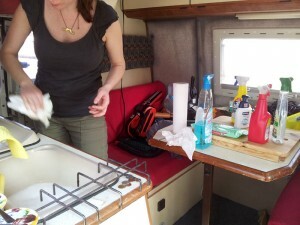 This entry was posted in Camper Trip April 2012 and tagged 2012, cleaning, food, getting ready. Bookmark the permalink.